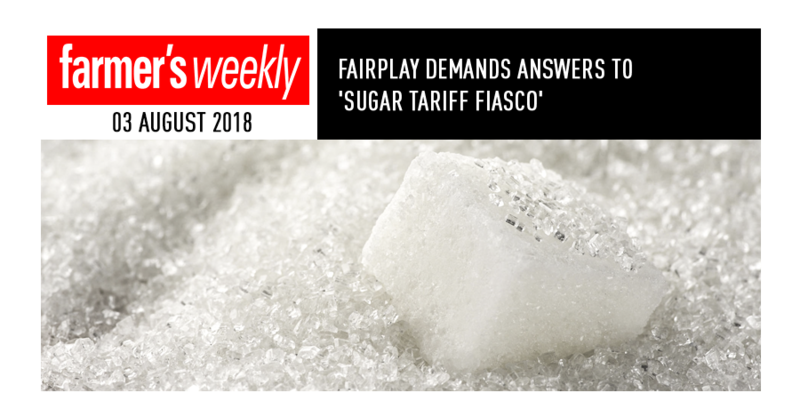 FairPlay has called for a public enquiry into how a zero-tariff rating on sugar imported to South Africa was allowed to be effective for an entire month in mid-2017 Sugar importers reportedly took advantage of this zero-tariff rating to import and stockpile thousands of tons of low-cost sugar that, according to FairPlay, displaced similar volumes of locally produced sugar onto the generally non profitable world sugar market. “This is more than an administrative error. It was a brief period but, together with months when tariffs were incorrectly kept low it, assisted in a huge surge in sugar imports in 2017,” said FairPlay founder Francois Baird. According to FairPlay this, was followed by the June 2017 triggering of a R1558/t tariff on imported sugar, but again this was not implemented. In July 2017, a tariff of R2 111/t was triggered but also not implemented. “That same month theinternational price of sugar dropped and should have triggered a tariff of R18074. But in this instance, even the existing tariff of R636/t was not implemented and no tariffs were collected. [This was] at great expense to the South African Treasury. 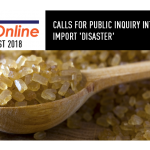 Further, the large quantities of imported sugar were dumped in South Africa during this period since they could enter the country duty-free,” the statement said. According to FairPlay, in August 2017 the tariff triggered was set at R2 131/t and “Finally” implemented. “Unfortunately the, damagehad beendone,” Baird said. FairPlay said these factors,combined with the impact of the tax on sugar sweetened beverages implemented earlier this year, had resulted in South Africa sugar’s industry “teetering on the brink of collapse”. The situation for South Africa’s sugarcane growers and millers and their employees was reportedly so dire that about 1500 of them had held a protest march in Pretoria on 25 June to highlight their plight. Baird said representatives of government departments, including the Department of Trade and Industry had, indicated to protesters that they would resolve the issue of insufficient tariffs on sugar imports by the end of July. 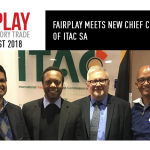 Thalukany Nangammbi, spokesperson for the International Trade Administration Commission of South Africa, said the commission would cooperate with any lawful enquiry into FairPlay’s allegations.